Boom. Angels. 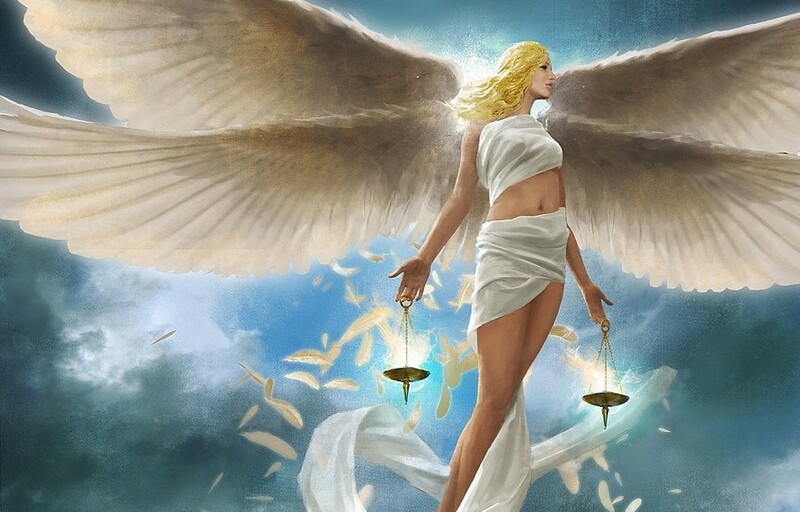 For all you angelphiles out there, you’re already fully aware that angels are hot right now, so pipe down while I school the rest of these nerds. It’s the week after a Pro Tour and we’ve seen the decks that are sure to dominate the Standard format until rotation, the format is solved and it’s pretty obvious where to place our bets. We’ve had a couple weeks of SCG Opens and then the culminating tournament to solidify the metagame and declare a public enemy #1. Now we’re just coasting to the finish line as we wait for a new set to be released and we can start this process all over again. Right? Right. Skimming through the top 32 decklists, I was expecting to see a good percentage of the field rocking the Ensoul Artifact Thopter deck that took Pro Tour Magic Origins by storm, after all it was clearly “the next Caw-Blade” if you listened to the Pros and the parrots in the coverage booth. What happened in San Diego is a testament to R&D’s ability to create a variety of flexible cards to combat a variety of threats; and by variety of cards, I am actually just referring to exactly one card – Dromoka’s Command. Dromoka’s Command may be the first card printed as a utility spell to have an entire archetype form up around it. 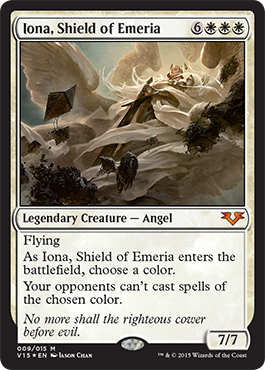 Dromoka’s Command is the backbone that the entirety of the Green-White Megamorph deck builds around. Not only does Dromoka’s Command effectively remove enchantments from the board, it is also does pumps creatures, prevents damage, and removes opposing blockers… three things that seem to be relevant in most games of Magic, killing enchantments is just a bonus. 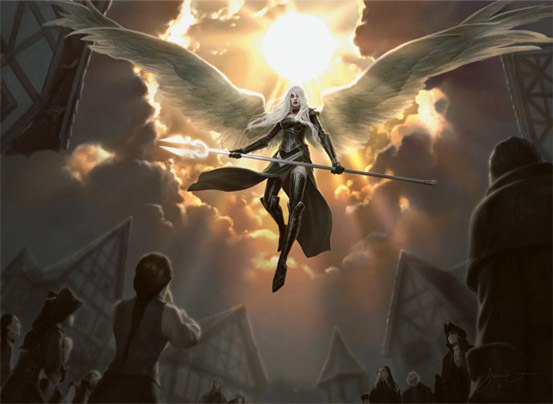 But it’s power was not relgated solely to the Megamorph decks, it also showed up heavily in a variety of Abzan decks. This all proved to be bad bad news for those Thopter decks; as it turns out, a deck that’s built around a couple key enchantments is vulnerable to enchantment removal +1. Dromoka’s Command showed up in 17 of the top 32 decks, pretty much the only non-land cards that saw more action were Courser of Kruphix (19 decks) and Den Protector (18 decks). The most surprising bit in all of this? Dromoka’s Command is somehow still under $4. Dromoka’s Command is one of those cards that’s going to see play for years, it’s not quite Abrupt Decay level of utility in older formats, but it’s rarely a card that you’ll disappointed to draw. This also seems like a great long-term pickup in FOIL as it’s currently sitting at a very meager $11. 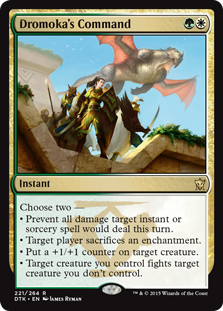 I am also an advocate of picking up at least a playset of Dromoka’s Command because it has roughly 14 months until rotation, which makes it a fine card to buy purely for play value (dividends) and there’s ample opportunity for it to creep up in price this October as the format shifts. A really spicy brew took down the title in San Diego, this deck relied heavily on one card: Sphinx’s Tutelage. The deck featured an array of cheap draw spells that allow you to essentially burn through your deck grabbing more and more draw spells and dumping more and more cards into your opponent’s graveyard, looking at the decklist I have a hard time figuring out how this deck came out on top after 18 rounds of Magic… but even a ham sandwich can win a tournament if it draws the right pairings each round. 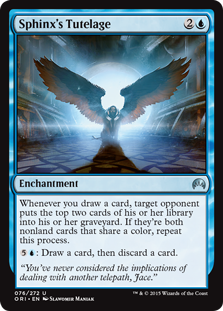 Sphinx’s Tutelage is a card you can invest in… I guess. 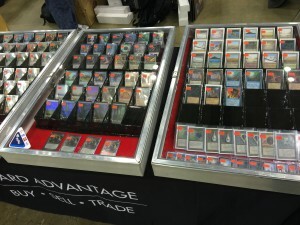 But I’ll offer you a reality check: this is a niche strategy uncommon in a core set; this is NOT Stoke the Flames. Sphinx’s Tutelage is NOT Path to Exile or Murderous Cut or Bile Blight or any of the diverse playable uncommons we’ve seen crest $2 in the last few years. Sphinx’s Tutelage is a Hedron Crab or a Mind Funeral… it’s a card that in a couple years you might make a dollar off of. You’d probably be better served buying up copies of Alhammaret’s Archive, a card that should also hold onto some long-term heavy appeal in Commander. While I am extremely skeptical about a deck featuring Sphinx’s Tutelage gaining traction in Modern, if it does you can expect Visions of Beyond to be the big winner… not a mass printed core-set uncommon. Being a cheap draw spell coupled with the Ancestral Recall payoff makes Visions an absolute all star alongside any conceivable Sphinx’s Tutelage build IF such a thing ever comes to fruition, which I’m currently doubtful of. Nissa, Vastwood Seer continues her run as the most prevalent flipwalker, showing up in a stunning 15 of the top 32 decks compared to a paltry 6 decks for the former financial frontrunner Jace. 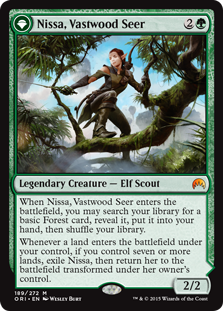 Nissa is clearly here to stay as a heavily played Mythic staple and Jace is establishing himself as an all star role player. Expect their prices to continue diverging as Nissa hovers around $25 with a slow decline and Jace continues to adjust downward at a much faster rate. The rest of this pantheon is performing much more in line with my previous expectations: ie, not at all. There isn’t a single copy of Kytheon, Chandra, or Liliana in the top 32 decks and that should put the writing on the wall as far as these cards go. While we’ve likely not seen the last of Liliana, Heretical Healer thanks to her inclusion in those Modern Collected Company decks, the outlook is grim for the other two. 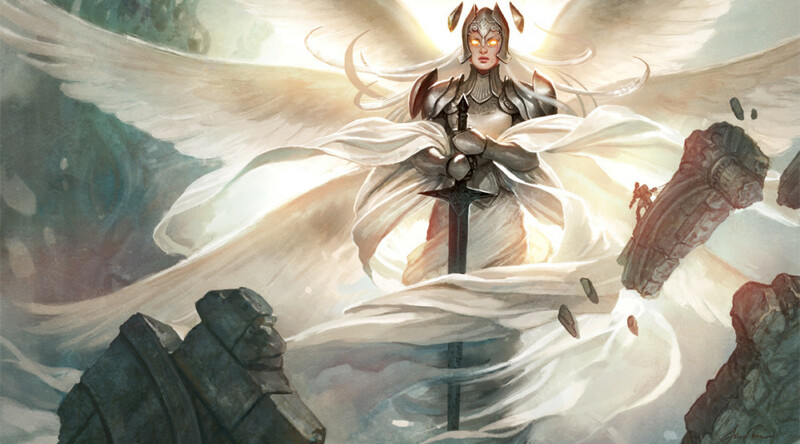 On the breaking news front (at the time of writing this article) we have the full spoiler for FTV: Angels and it doesn’t include Linvala, Keeper of Silence. While this would have mattered a lot more before they banned Birthing Pod than it does now, it still puts a lot of pressure on this Mythic Modern staple. At the time I’m writing this Linvala is hovering around $35… but you’re probably looking at $50+ Linvalas today as you read this. Special thanks to the finance community for that one guys! In reality this card was likely to go up either way, people just have a psychological disconnect when it comes to FTV printings. A card like Linvala will stop climbing for fear of a reprint and then once that fear is confirmed or denied, it will adjust accordingly. This was a good card to pick up either way as FTV printings are traditionally disliked by most players because the FOILs look fairly atrocious. While it’s disappointing to see Linvala absent from this product, she can probably just go ahead and join the club alongside Damnation as a card that desperately needs a reprint and somehow dodges it time and time again despite numerous glaring opportunities to do so and we’ll now start the yearly tradition of excluding only the most obvious choices from the From the Vault releases. 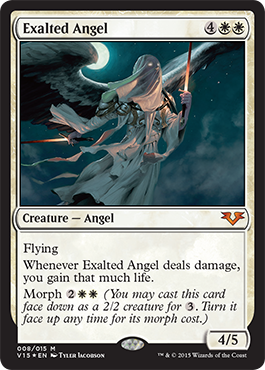 But if you look on the bright side, we finally have that Iridescent Angel reprint that we’ve all been waiting for! Now’s your chance to buy in. There is still the outside chance that with the new block structure we’ll see a Linvala reprint in Battle for Zendikar. The absence of a Core Set means that a lot of reprints will need to be implemented within regular sets. This will essentially tie reprints of legendary creatures to their home planes as non-planeswalkers don’t really get to experience interplanar travel yet. Yet. I have a proposal for most of you that are taken aback by the recent upswing in fetch land prices: don’t buy them. At this point it’s not a matter of IF but WHEN the Zendikar fetches will be reprinted. Wizards seems to be pushing enemy colored pairs over the next year with the reinclusion of the opposing painlands, enemy colored Commander decks, and the likely inclusion of the long-awaited enemy colored manlands as the flagship duals for Battle for Zendikar. That push, plus the acknowledgement that Modern card availability is an issue should be enough to sooth fears that these cards are just never going to be available ever again. 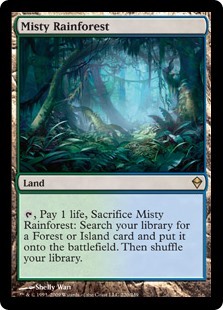 Whether those fetches show up in a supplementary product (unlikely) or the next large set (April, as the other fetchlands rotate out of Standard), they ARE going to be reprinted – it’s only a matter of time. Now’s the time for some tough love. Dad talk, have a seat children. There’s been a lot of outrage about the new price of fetches being unaffordable… but were they really affordable before? I’m going to say that for those outraged at the new price that these fetchlands were never truly affordable. If they were – you would have afforded them. YOU WOULD ALREADY OWN THEM. Now they are just STILL unaffordable; functionally, nothing has changed. In reality there are only a handful of decks that really NEED the exact fetch land for their deck, most decks are perfectly able to get by on Khans fetches with only a fractional percentage of a decrease in efficiency. What does that percentage mean for the average Modern player in weekly tournaments at the local shop? You’re going to lose, at most, one or two games per month, and those games are not necessarily going to mean the match. Does that percentage point matter more elsewhere? Only if you’re going to be playing in competitive level events that span nine to fifteen rounds on a regular basis. The real question that you should be asking yourself is: if you have serious issues with card affordability, how do you justify spending $40-70 a pop to play in an SCG Open or a Grand Prix? Competitive Magic is expensive. It’s always going to be expensive and the rewards are a rarely going to be cover the buy-in. The entire game is built on the foundation that players will continuously buy more and more cards and that a subsection of those cards being worth money.